Unlock the highest level of hockey aggression, speed and skill. 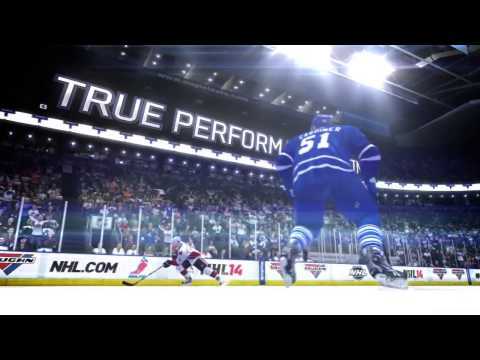 NHL 14 brings together the best technology from EA SPORTS to deliver the most authentic hockey experience ever. 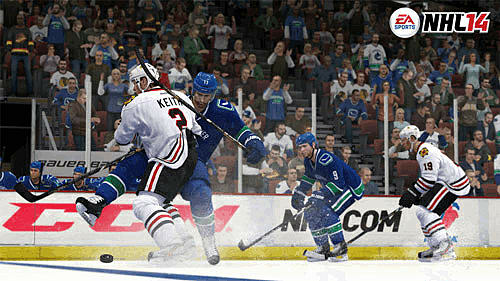 Deliver hits with the cutting-edge NHL Collision Physics, built from FIFA’s revolutionary Player Impact Engine. Drop the gloves with the new Enforcer Engine, powered by EA SPORTS Fight Night technology. Dangle defenders with new One-Touch Dekes and experience a new level of speed and control with the second season of critically-acclaimed True Performance Skating. Huge hits, real fights, and unbelievable speed and skill. This is NHL hockey at its greatest, powered by a generation of EA SPORTS innovation. NHL Collision Physics – Developed from the same core technology that powers EA SPORTS FIFA’s critically-acclaimed Player Impact Engine, NHL Collision Physics introduces bigger, more thrilling hits, and truer-to-life collisions. A new left-stick control scheme makes delivering a game-changing hit simpler and more rewarding than ever. Enforcer Engine – Powered by the same technology used in the critically acclaimed Fight Night franchise, NHL 14 will bring a brand new third-person presentation to showcase the anatomy of a fight. All players on the ice (human or CPU) remain live from the drop of the gloves to the trip to the penalty box, with no break in the action. This new technology delivers, for the first time in the EA SPORTS NHL franchise, true size and strength differentiation between players, new jostling mechanics and much more to create the most authentic and electrifying experience yet. EA SPORTS NHL Online Seasons – NHL 14 adds the best-in-class promotion and relegation system in the sports category to the Hockey Ultimate Team & EA SPORTS Hockey League modes. Win games and advance to the next division to face tougher competition, fall short and see your team bumped down. Teams will be able to track their progress across multiple seasons. 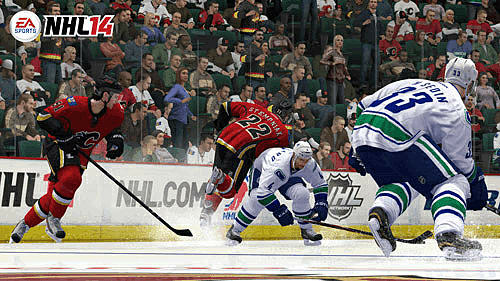 Create the greatest fantasy team in sports with NHL 13 Hockey Ultimate Team. In a hockey world without career lengths or a salary cap, acquire and assemble top players from around the world, then take on friends or skilled opponents from a massive online community.